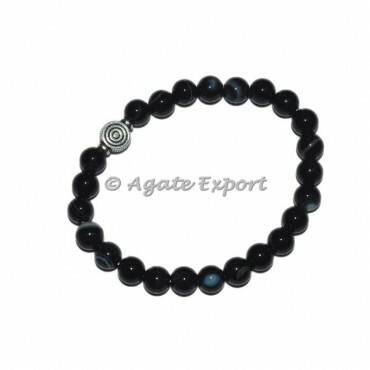 The entire bracelet is made up of highly polished onyx beads. This bracelet look good on both men and women. It can be combined with other bracelets for a layered look. For a special order contact us directly.